As the industry solution of choice for contractors and federal agencies to host and manage critical, competitive, and confidential cost data, professionals around the globe are actively using PROPRICER as a key component of their consulting or technology services. For more information or to become a PROPRICER Technology Partner, please contact us. We are currently looking for software resellers located in the UK and Australia. If you are interested in becoming a PROPRICER reseller and have expertise in federal contracting, please contact us. Our Consultants offer a serious competitive edge with the ability to augment their services with unmatched proposal pricing capabilities. The Contract Coach is your roadmap to navigating the maze of confusing and often contradictory government requirements. We can help you understand which provisions and clauses apply to you and explain in layman's terms how to comply. Be it a proposal, a pending contract award, or establishing best practices for contract administration or project management The Contract Coach has the tools and experience to face that challenge. From the largest aerospace and defense contractors, through major software providers, to healthcare and financial/audit services providers, SM&A is the partner many companies choose to help them PURSUE, WIN, and PERFORM. PACE is a SBA 8(a) and SDVOSB company with exceptional expertise in the acquisition and IT domains. Whether for acquisition support, IT consulting, or training, PACE offers a realm of quality and excellence that rises above their competitors. InLine Financials, LLC provides full-service accounting solutions to government contractors. Our team provides guidance for small to large size contractors assisting with implementing the systems that enable companies to work with the government, win government contracts and manage growth. BKH provides financial solutions and government contracting expertise to both small‐to‐medium sized entities and multi‐billion dollar, globally traded entities. The BKH offices are conveniently located in the Washington DC Metropolitan area but support clients coast‐to‐coast. 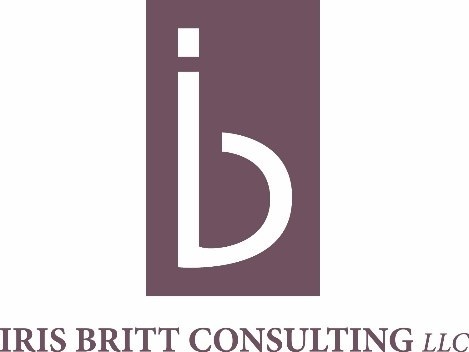 Iris Britt Consulting, LLC is a business consulting firm and is a provider of business consulting services to Non-Profit organizations, Government contractors, and For-Profit Companies. The firm specializes in business development strategies with integrated marketing, fundraising, and business coaching. Washington Business Dynamics (WBD) is a veteran-owned management consulting firm specializing in acquisition, finance, and strategy. They work with their clients as partners to achieve institutional change, enhance operational performance, and build sustainable processes that deliver exceptional results. AFID Consulting is a registered consulting, training, research, human capacity development, project management and allied professional services firm, developing and delivering innovative, impactful, and affordable customer-centric training solutions and consulting services for individuals, professionals and clients in the private and public sectors. ProposalHelper offers its clients a different way to write and develop commercial and Government proposals, including turnkey proposal writing services. Our Technology Partners collaborate with the PROPRICER team to extend proposal cost data from PROPRICER into their complimentary financial solutions to provide our mutal customers with automated data flows and custom solutions for their internal processes. As the most experienced cost estimating company in the world, PRICE® Systems provides agile and accurate estimating solutions. We enable our clients to become better estimators, improve bid success ratio, achieve tremendous savings in analyzing effective alternatives and improving cost.